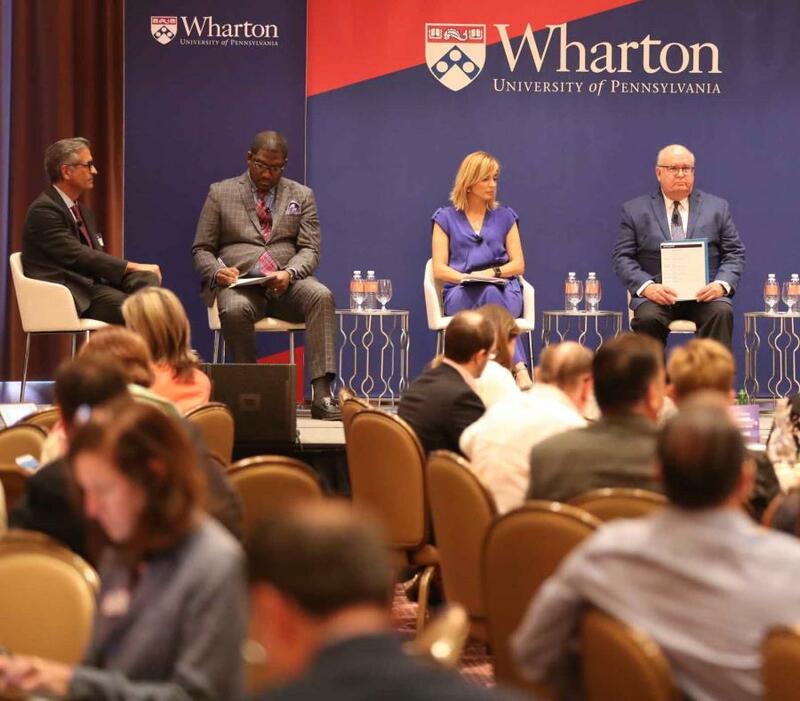 The panel, held Saturday at the Condado Vanderbilt Hotel in San Juan as part of a two-day conference organized by the Wharton School of the University of Pennsylvania, and moderated by Luis Alberto Ferré Rangel, Chief Social Innovation Officer of GFR Media, centered on hurricane Maria—which struck Puerto Rico in October 2017 and still continues to define the island—and on reconstruction efforts that have relied on an influx in federal funding. Although the U.S. government has assigned $41 billion to aid in reconstruction efforts on the island, only $5.3 billion has been disbursed, according to Puerto Rico Governor Ricardo Rossello. Most of these funds have been used on emergency work and to repair the island’s fragile electric grid, while only about $200 million has been allocated for permanent infrastructure repairs, he added during a talk held later that day. Puerto Rico’s economic development secretary, Manuel Laboy, disagreed with Westphal’s remarks, stating that the federal government shared a measure of responsibility in the island’s crisis. “We need them on the table,” he said. Laboy also said that Puerto Rico’s systemic problems have been around for decades, and that they had not been addressed until now due to lack of leadership and execution. “About 80% of the government platforms for the past three administrations is the same, so we’ve known what we need to do for a long time,” he added. Miller, who has overseen recovery efforts in places like Detroit and New Orleans right after hurricane Katrina, drew points of comparison between them and Puerto Rico, including a steady population decline and a lack of investment in key infrastructure. “The public sector cannot do this alone. It can play a lead role, but it needs the private sector to push it and ensure long-term continuity in development strategies,” he said. Another panelist was Bibiana Ferraiuoli, executive director of the Ricky Martin Foundation, who detailed the recovery efforts that the nonprofit carried out in the critical weeks and months after hurricane Maria hit Puerto Rico. She stressed the importance of involving the local community in such efforts, like the time the nonprofit helped build several houses in deeply affected sectors of Loiza. “We talk often about budget-driven and design-driven projects, but we must talk more about community-driven,” she said. During the panel, the conversation also touched on what the future could bring, especially in terms of global warming and the effects it’s having on weather and rising sea levels.